If you have been considering adopting a dog or cat, no better time than now! 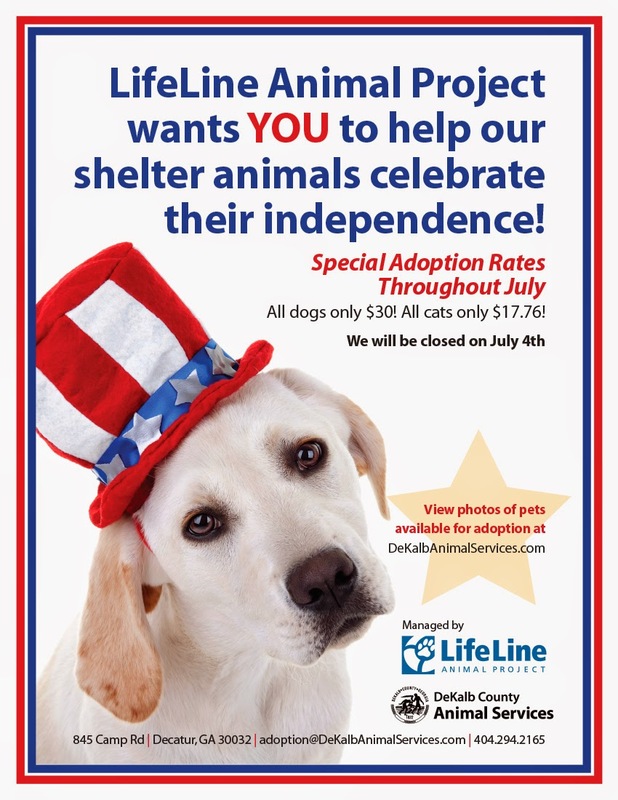 For the entire month of July all dogs may be adopted for only $30 and cats for only $17.76! Adopters will receive a dog or cat that has been spayed or neutered, has had all vaccines and is microchipped – a $200 value. As an additional bonus during the first two weeks of July, adopters will also receive a free adoption package with veterinarian, grooming and training coupons, while supplies last. Adoption counselors will be on hand to ensure the animals are being placed in good homes. To view animals available for adoption, or for the shelter’s address and phone number, please visit the shelter or visit www.dekalbanimalservices.com/adopt.